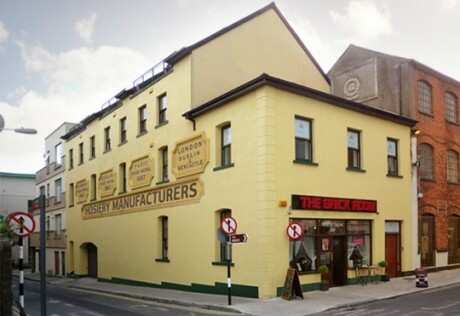 FEx Balbriggan opened its doors in July 2012, and is home to a collection of enthusiastic entrepreneurs. Together, we hope to shape the future of Balbriggan town centre as a thriving cultural and commercial hub. Seconds from the railway station, and overlooking the harbour and beach of this picturesque North County Dublin town, FEx Balbriggan is ensconced in the rich historical tapestry of Balbriggan. The building was once home to the preeminent hosiery manufacturers, Smyth and Co – providers of the Queen’s stockings, no less! Since we opened, we have been actively involving ourselves in driving a new beginning for Railway Street and its environs. We are working with local businesses and neighbours, and striving to make Balbriggan an active and vibrant town once again. We have designers, thinkers, translators and ITers but always want more ‘ers. Even if you’re not an ‘er, you’re most welcome too. We are actively looking for participants in FEx Balbriggan.